I thought this was ambient Comp. why on SS? Huh. How is your SS able to hold positive temps like that? Also, why is your CPU being reported as an FX instead of an Phenom II with your 32M Super PI sub? 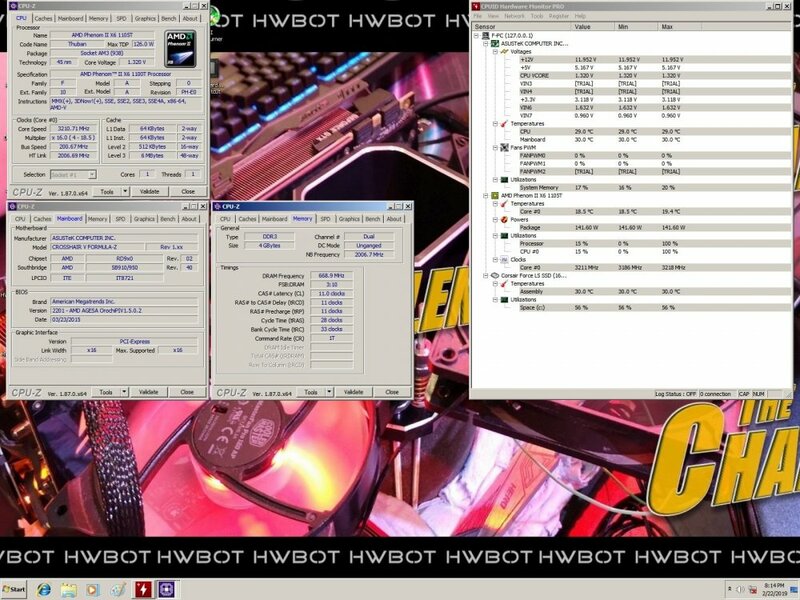 Checked into this with my CHV-Z and Phenom II 1100T chip, disabled cores to make sure since yours shows disabled cores too - HWmonitor Pro knows the difference, even the trial version can tell and reports it. Took a screenie to illustrate what I came up with. Hmmm.... Could be a bug with HWmonitor Pro.